The following are terms of a legal agreement between you and Mimaki Europe BV. By accessing, browsing, or using this Website, you acknowledge that you have read, understood, and agree to be bound by these terms and to comply with all applicable laws and regulations, including export and re-export control laws and regulations. If you do not agree to these terms, please do not use this Web site. This site and all content in this site may not be copied, reproduced, republished, uploaded, posted, transmitted, distributed, or used for the creation of derivative works without Mimaki Europe BV prior written consent, except that Mimaki Europe BV grants you non-exclusive, non-transferable, limited permission to access and display the Web pages within this site, solely on your computer and for your personal, non-commercial use of this Web site. This permission is conditioned on your not modifying the content displayed on this site, your keeping intact all copyright, trademark, and other proprietary notices, and your acceptance of any terms, conditions, and notices accompanying the content or otherwise set forth in this site. Notwithstanding the foregoing, any software and other materials that are made available for downloading, access, or other use from this site with their own license terms, conditions, and notices will be governed by such terms, conditions, and notices. Your failure to comply with the terms, conditions, and notices on this site will result in automatic termination of any rights granted to you, without prior notice, and you must immediately destroy all copies of downloaded materials in your possession or control. Except for the limited permission in the preceding paragraph, Mimaki Europe BV does not grant you any express or implied rights or licenses under any patents, trademarks, copyrights, or other proprietary or intellectual property rights. You may not mirror any of the content from this site on another Web site or in any other media. Associated mail contents and files is/are confidential and intended for the recipient(s) only. It may contain privileged and confidential information. If you are not an intended recipient and have received this mail in error, please notify the sender immediately by reply email and then delete this mail from your system. You must not copy it to any medium, distribute it, or take any action on it, other than to delete it. Taking any action in reliance on the contents of the information in or attached to this email if you are not the intended recipient is strictly prohibited. The views in this email are of the author and not necessarily those of Mimaki Europe B.V. Although Mimaki Europe B.V. has taken reasonable precautions to ensure no viruses are present in this email, the company cannot accept responsibility for any loss or damage arising from the use of this email or any attachments. Please note that Mimaki Europe B.V. may monitor email traffic data and also the content of email and any attachments for the purpose of security. Information on this Web site is not promised or guaranteed to be correct, current, or complete, and this site may contain technical inaccuracies or typographical errors. 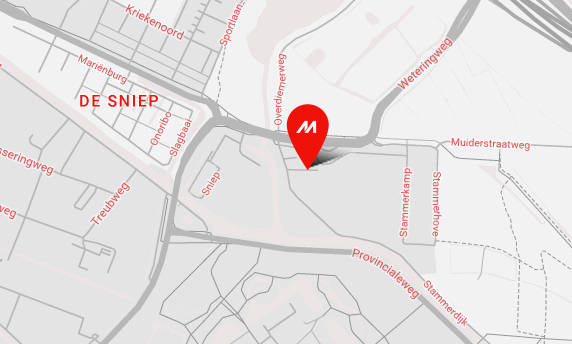 Mimaki Europe BV assumes no responsibility (and expressly disclaims responsibility) for updating this site to keep information current or to ensure the accuracy or completeness of any posted information. Accordingly, you should confirm the accuracy and completeness of all posted information before making any decision related to any services, products, or other matters described in this site. Mimaki Europe BV provides no assurances that any reported problems will be resolved by Mimaki Europe BV, even if Mimaki Europe BV elects to provide information with the goal of addressing a problem. Mimaki Europe BV does not want to receive confidential or proprietary information from you through our Web site. Please note that any information or material sent to Mimaki Europe BV will be deemed NOT to be confidential. By sending Mimaki Europe BV any information or material, you grant Mimaki Europe BV an unrestricted, irrevocable license to copy, reproduce, publish, upload, post, transmit, distribute, publicly display, perform, modify, create derivative works from, and otherwise freely use, those materials or information. You also agree that Mimaki Europe BV is free to use any ideas, concepts, know-how, or techniques that you send us for any purpose. However, we will not release your name or otherwise publicize the fact that you submitted materials or other information to us unless: (a) we obtain your permission to use your name; or (b) we first notify you that the materials or other information you submit to a particular part of this site will be published or otherwise used with your name on it; or (c) we are required to do so by law. 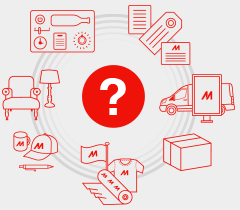 Personally-identifiable information that you submit to Mimaki Europe BV for the purpose of receiving products or services will be handled in accordance with our privacy policies. Information Mimaki Europe BV publishes on the World Wide Web may contain references or cross references to Mimaki Europe BV products, programs and services that are not announced or available in your country. Such references do not imply that Mimaki Europe BV intends to announce or make available such products, programs, or services in your country. Please consult your local Mimaki Europe BV business contact for information regarding the products, programs, and services that may be available to you. This Web site may provide links or references to non- Mimaki Europe BV Web sites and resources. Mimaki Europe BV makes no representations, warranties, or other commitments whatsoever about any non- Mimaki Europe BV Web sites or third-party resources that may be referenced, accessible from, or linked to any Mimaki Europe BV site. A link to a non- Mimaki Europe BV Web site does not mean that Mimaki Europe BV endorses the content or use of such Web site or its owner. In addition, Mimaki Europe BV is not a party to or responsible for any transactions you may enter into with third parties, even if you learn of such parties (or use a link to such parties) from an Mimaki Europe BV site. Accordingly, you acknowledge and agree that Mimaki Europe BV is not responsible for the availability of such external sites or resources, and is not responsible or liable for any content, services, products, or other materials on or available from those sites or resources. When you access a non-Mimaki Europe BV Web site, even one that may contain the Mimaki Europe BV-logo, please understand that it is independent from Mimaki Europe BV, and that Mimaki Europe BV does not control the content on that Web site. It is up to you to take precautions to protect yourself from viruses, worms, trojan horses, and other potentially destructive programs, and to protect your information as you deem appropriate. All links to this Web site must be approved in writing by Mimaki Europe BV, except that Mimaki Europe BV consents to links in which the link and the pages that are activated by the link do not: (a) create frames around any page on this Web site or use other techniques that alter in any way the visual presentation or appearance of any content within this site; (b) misrepresent your relationship with Mimaki Europe BV; (c) imply that Mimaki Europe BV approves or endorses you, your Web site, or your service or product offerings; and (d) present false or misleading impressions about Mimaki Europe BV or otherwise damage the goodwill associated with the Mimaki Europe BV name or trademarks. As a further condition to being permitted to link to this site, you agree that Mimaki Europe BV may at any time, in its sole discretion, terminate permission to link to this Web site. In such event, you agree to immediately remove all links to this Web site and to cease using any Mimaki Europe BV trademark. Certain text in this Web site may be made available in languages other than English. Text may be translated by a person or solely by computer software with no human intervention or review. These translations are provided as a convenience to you, and Mimaki Europe BV makes no representations or commitments regarding the accuracy or completeness of the translation, whether or not computer-generated or performed by a person. Please see the below Disclaimer of Warranty for additional conditions. USE OF THIS SITE IS AT YOUR SOLE RISK. ALL MATERIALS, INFORMATION, PRODUCTS, SOFTWARE, PROGRAMS, AND SERVICES ARE PROVIDED “AS IS,” WITH NO WARRANTIES OR GUARANTEES WHATSOEVER. MIMAKI EUROPE B.V. EXPRESSLY DISCLAIMS TO THE FULLEST EXTENT PERMITTED BY LAW ALL EXPRESS, IMPLIED, STATUTORY, AND OTHER WARRANTIES, GUARANTEES, OR REPRESENTATIONS, INCLUDING, WITHOUT LIMITATION, THE WARRANTIES OF MERCHANTABILITY, FITNESS FOR A PARTICULAR PURPOSE, AND NON-INFRINGEMENT OF PROPRIETARY AND INTELLECTUAL PROPERTY RIGHTS. WITHOUT LIMITATION, MIMAKI EUROPE B.V. MAKES NO WARRANTY OR GUARANTEE THAT THIS WEB SITE WILL BE UNINTERRUPTED, TIMELY, SECURE, OR ERROR-FREE. IN NO EVENT WILL MIMAKI EUROPE B.V. BE LIABLE TO ANY PARTY FOR ANY DIRECT, INDIRECT, INCIDENTAL, SPECIAL, EXEMPLARY OR CONSEQUENTIAL DAMAGES OF ANY TYPE WHATSOEVER RELATED TO OR ARISING FROM THIS WEB SITE OR ANY USE OF THIS WEB SITE, OR OF ANY SITE OR RESOURCE LINKED TO, REFERENCED, OR ACCESSED THROUGH THIS WEB SITE, OR FOR THE USE OR DOWNLOADING OF, OR ACCESS TO, ANY MATERIALS, INFORMATION, PRODUCTS, OR SERVICES, INCLUDING, WITHOUT LIMITATION, ANY LOST PROFITS, BUSINESS INTERRUPTION, LOST SAVINGS OR LOSS OF PROGRAMS OR OTHER DATA, EVEN IF MIMAKI EUROPE B.V. IS EXPRESSLY ADVISED OF THE POSSIBILITY OF SUCH DAMAGES. THIS EXCLUSION AND WAIVER OF LIABILITY APPLIES TO ALL CAUSES OF ACTION, WHETHER BASED ON CONTRACT, WARRANTY, TORT, OR ANY OTHER LEGAL THEORIES.